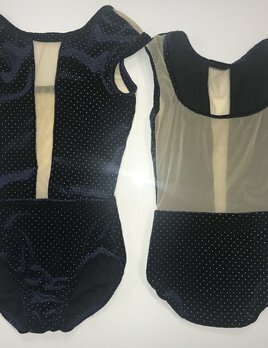 Performance Leotards are fully lined, and can be created in custom colors. Contact us at christy@bpdancewear.com to order your custom color. Contemporary wrap around mesh waist with peek-a-boo bust inset and full mesh back make this leotard unforgettable. Available in bold, luminous jewel tones for a truly eye catching style.